Xoyondo::blog - Page 3 of 3 - News and updates about Xoyondo. We have redesigned the administration area for polls. You can now adjust the settings of your polls in a more flexible and direct way. 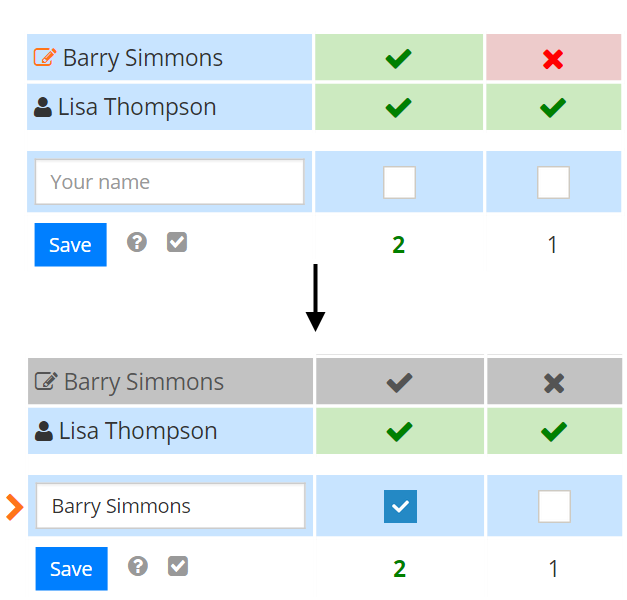 General settings can be modified in the two panels (see next picture) at the top of the admin area. Here you can, e.g., change your name or activate/deactivate comments. Furthermore you can add or edit other types of polls. Note: If you add a date or a time, a question mark will be displayed to existing participants for the new date or time. The present votes will not be affected. We hope that you like the new administration area and that this will further simplify your scheduling tasks. If you have further suggestions we would be happy if you contact us via email, Facebook, Twitter or just leave a comment on this page. Participants can now modify their vote. we have implemented a new feature on xoyondo. 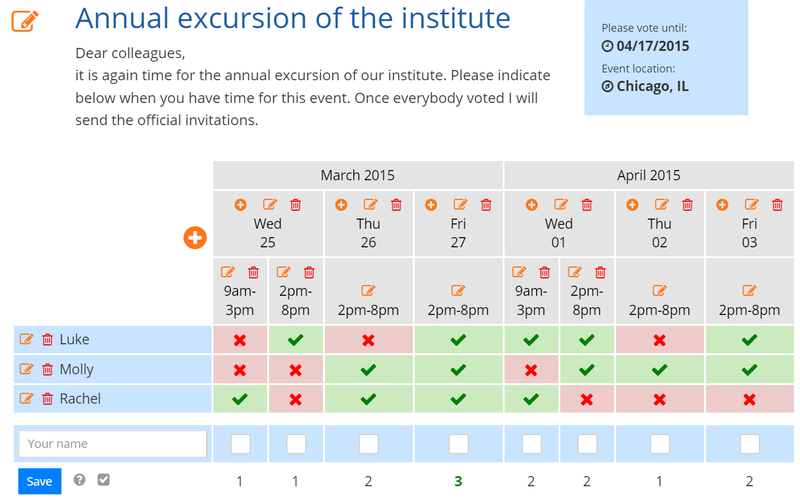 Participants in a date or opinion poll can now modify their vote in case their schedule or opinion altered. They can modify their vote by simply clicking the ‘edit’ icon near their name and entering the updated information. Please note that users can only change their vote if they visit xoyondo with the same device (computer, tablet, smartphone) they have originally voted with. Posted on 22. November 2014 22. 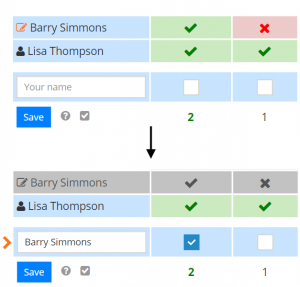 November 2014 Categories FeaturesLeave a comment on Participants can now modify their vote. We now use SSL on the entire website! SSL stands for Secure Sockets Layer. SSL is a security technology that allows to transmit data between a website (xoyondo) and a browser (you) in a secure way. Without SSL data between a website and a browser is sent in plain text. If attackers are able to intercept this data they can see and use it. This is especially problematic if the data sent contains sensitive information like passwords or credit card numbers. The SSL protocol encrypts the data that is to be sent from a website to the browser (and vice versa) and thus ensures that your data remains confidential. Why does xoyondo use SSL? Since our service is free and works without registration you never have to enter credit card details or login information that could be intercepted by an attacker. However we believe that all your personal data (including your name, email address or the meeting you want to organize) is important and needs to be protected. This is why we use the SSL technology to secure the communication between you and xoyondo on our entire website. A secure connection to xoyondo is easy to recognize. A green padlock icon as well as https:// will be visible at the address bar of your browser. Posted on 29. October 2014 Categories Features2 Comments on We now use SSL on the entire website! Schedule meetings the easy way! With xoyondo you can schedule events and meetings without sending around dozens of emails. Just pick suitable dates and send the link to your personal poll website to every participants of your event. Each participant now can indicate suitable times so that you can easily determine the best date for you event. You are not looking for a certain date but instead for the opinion of your participants about a certain topic? No problem! Set up an opinion poll with xoyondo. You just want to set up anonymous polls? Also this is possible with xoyondo. xoyondo originated from a project that we started (under a different name) already in 2006. This year we decided to relaunch this project with a completely rewritten code. We are eager to further improve xoyondo. Help us with your feedback and contact us via email, Facebook, Twitter or Google+. We are grateful for your suggestions! Posted on 9. October 2014 7. 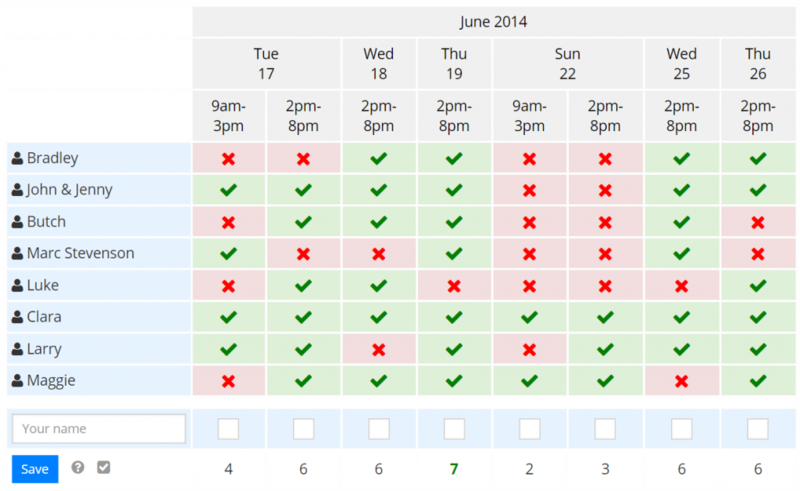 May 2015 Categories GeneralLeave a comment on Schedule meetings the easy way!